How many times have you asked a waiter to substitute an unhealthy item for a healthier one and been shut down before finishing your sentence? Well what would you say if I told you that there is a place that not only allows substitutions, but also welcomes them with open arms? In your own kitchen you are given the choice of taking away as many horrible ingredients and adding heavenly ones instead! All you have to do is be wary of what is good for you and what isn’t. Here are two of my favorite substitutions that keep my taste buds happy and my body feeling energized! Also known as the “Alligator Pear,” due to its leather-like outer covering, the avocado is one of the healthiest fruits out there. It is grown mostly in Mexico and Central America and other tropical climates. I know what you're thinking, “Avocados are really fatty, though!” Yes, this is true, but it’s good fat! (Yes, there is a such thing as good fat.) Phytosterols, which account for some of the fat, are key supporters of keeping inflammation throughout the body in check. 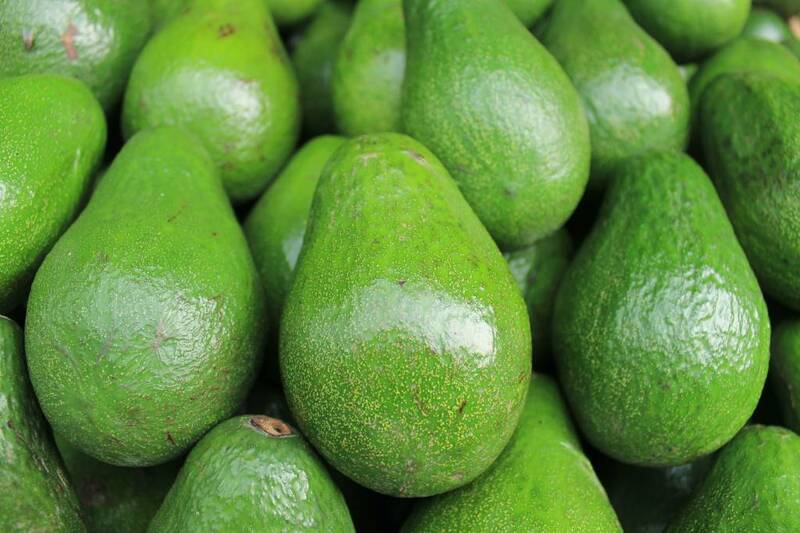 Also, high levels of oleic acid is found in avocados which increases absorption in the digestion process! Sliced avocados are great for salads, but to take your salads to the next level substitute your dressing with avocado oil. It has been proven to give the same benefits as sliced avocado without the possible mush factor. You can actually add this amazing ingredient to just about anything! My top favorites include: omelets, sandwiches, smoothies and even pizza! This delectable dip is of Arabic and Middle Eastern cuisine. Hummus is a combination of mashed chickpeas, lemon juice, tahini and olive oil. Just the thought of hummus gets my stomach growling. Due to the chickpeas, which are the main ingredient, hummus is a great source of protein and dietary fiber. Hummus also has a lot of iron and vitamin C. Hummus can substitute any type of dip or spread you can think of. I even prefer hummus over ranch when eating carrots and celery, but also try using hummus on your sandwiches instead of the typical mayo or ketchup. Hummus and avocados are also great together on any kind of wrap. The recipe below is one of my favorite snacks that never seems let me down. It’s extremely easy to prepare and amazing to eat. Preparing this dish is extremely simple. All you really need to do is decide on how you want to marinate your chicken and which combination of ingredients you want to go with. I like to marinate the chicken in vinaigrette for an hour before cooking. This gives the chicken a nice flavor while not ruining it with too much spice or salts that most rubs or sauces tend to do. Let’s begin as if you have cooked your chicken and are now ready to start the actual wrap preparation! • Bake pita bread at 425 degrees until warm or slightly crispy if preferred. • Slice the avocado into thin slices and any other veggies or fruits that you decided to add. • Tear off a couple leaves of romaine lettuce. Typically 2 or 3 small pieces are enough. • Cut the marinated chicken into strips to decrease its surface area. Place the baked pita bread on a plate and spread a thin layer of hummus on top. Fight the urge to go crazy with the hummus because you may end up with a mess in the end! Once you have your hummus layer, place 2-3 leaves of romaine lettuce on top. After that you can start adding your other ingredients in any combination. Keep in mind a little goes a long way. Once you have your ingredients placed, enjoy!